The hotel is located next to Het Loo Palace and, until the 1960s, it was the personal property of Queen Wilhelmina. Tsar Peter the Great was one of the first guests here. The 94 rooms are fully equipped. A short walk from the castle will take you directly to the ‘kroondomein’ or the Crown Estates. This is a royal estate of 10,500 hectares of palace gardens and forest. 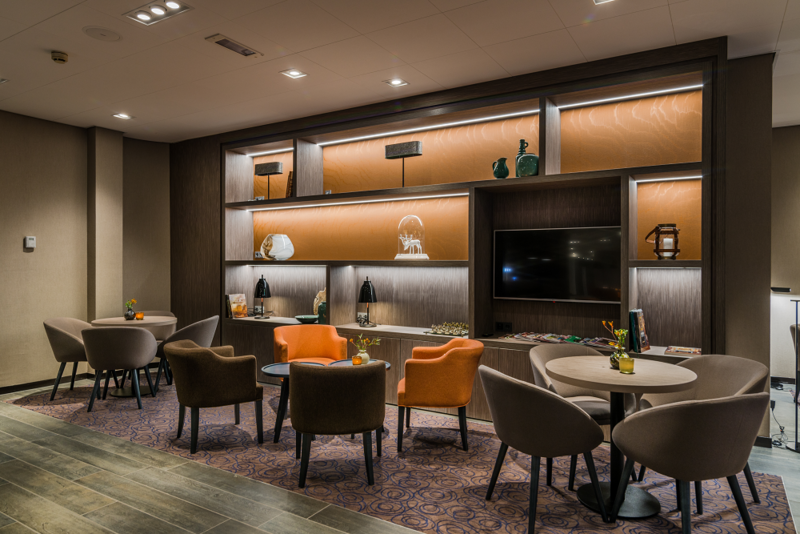 In the renovated Kingstreet Restaurant you can enjoy an evening with fine ‘slow food’ and grilled dishes. 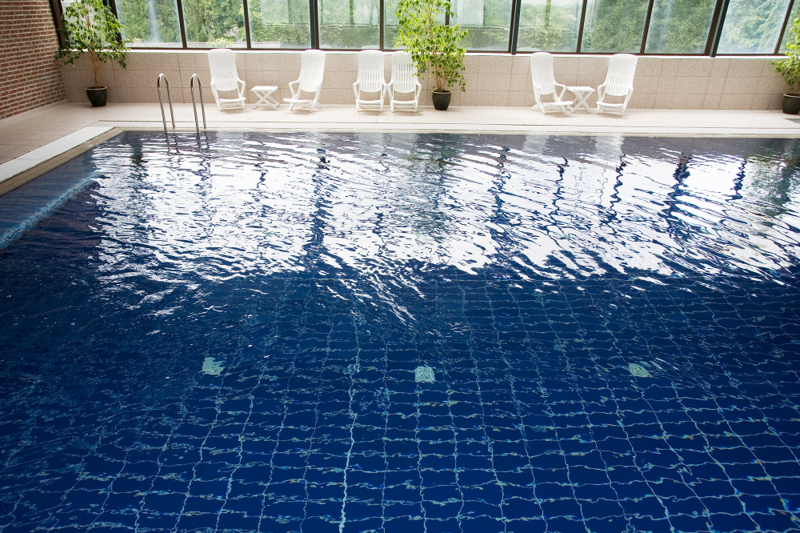 On the fourth floor you will find a heated swimming pool – the only swimming pool with a unique view of a palace! Regal dimensions with a love for details, personality and an intimate atmosphere. In short: you are guaranteed to receive the royal treatment! Special group rates: January/February/July/August: starting at € 50 per person (2p. double room) on Friday and Sunday. These prices are valid starting at 10 people or more. 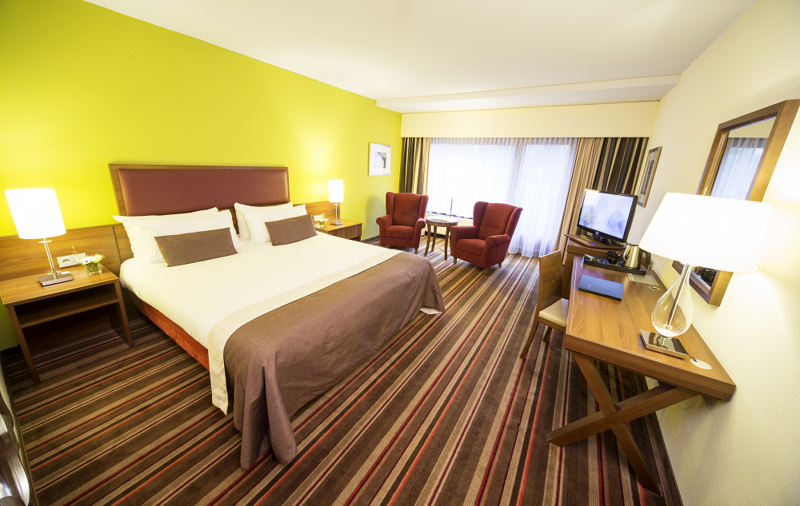 Rates include the breakfast buffet and exclude the city tax of € 2.10 per person per night and the service charge of approx. € 2.25 per person per night.